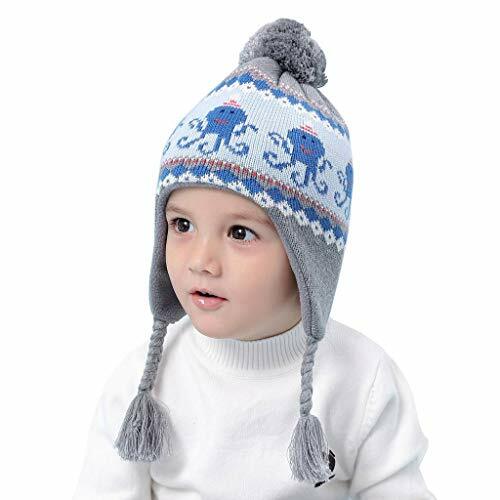 The super cute earflap hat is nice for the daily use and other outdoor sports. Double layered with fleece lining, keep little head and ears toasty warm, cozy and looking adorable on chilly days. The cute design add fun and style to any outfit. Suitable for a variety of occasions: home, school, travel, birthday, Christmas and so on. Great stretchy fit for the boys and girls ages 1-8yrs old. Please match with the head girth before purchasing.